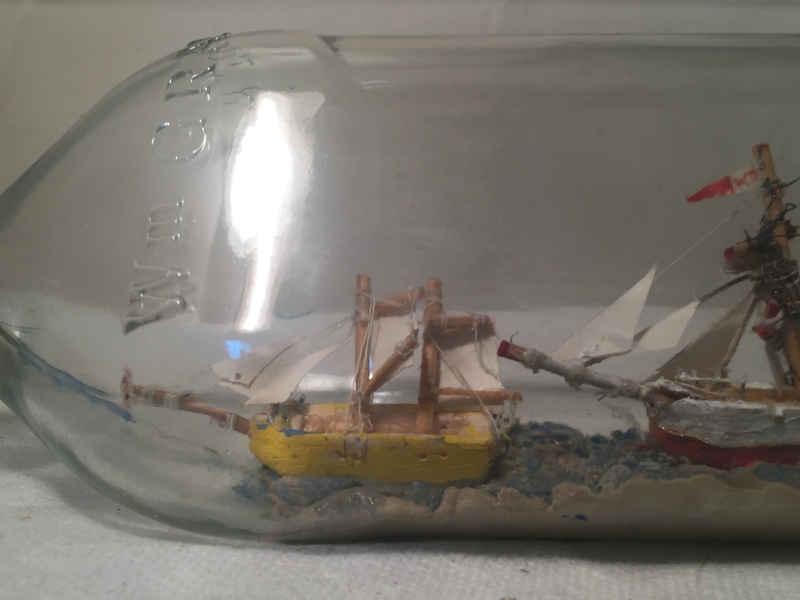 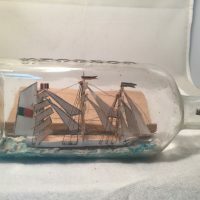 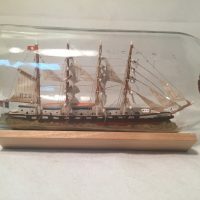 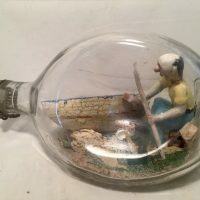 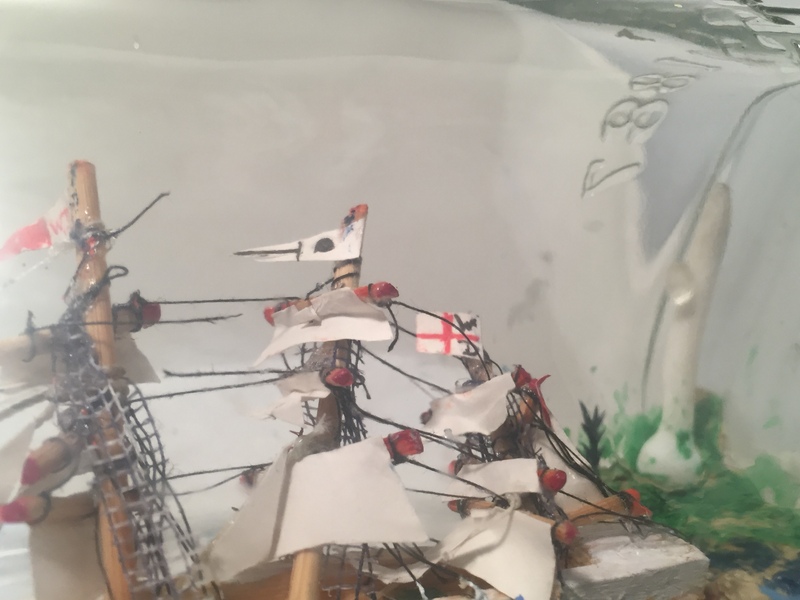 Here we have a intermediate build I purchased from England 2 ships in a William Grant triangle shape bottle, main ship is flying flags, against a island and lighthouse, the ketch is leading out of port. 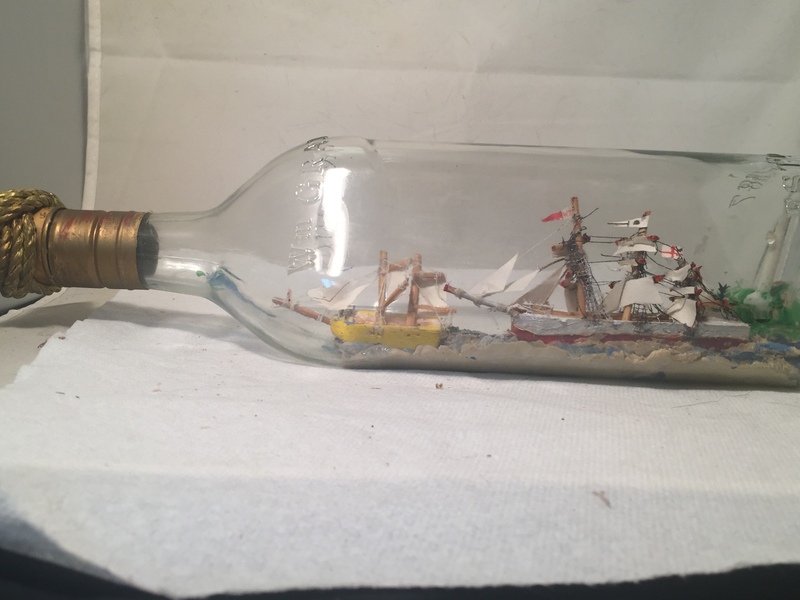 Knotted bottle end. 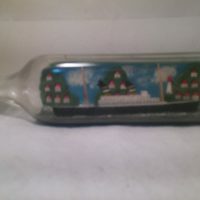 13 inch bottle. 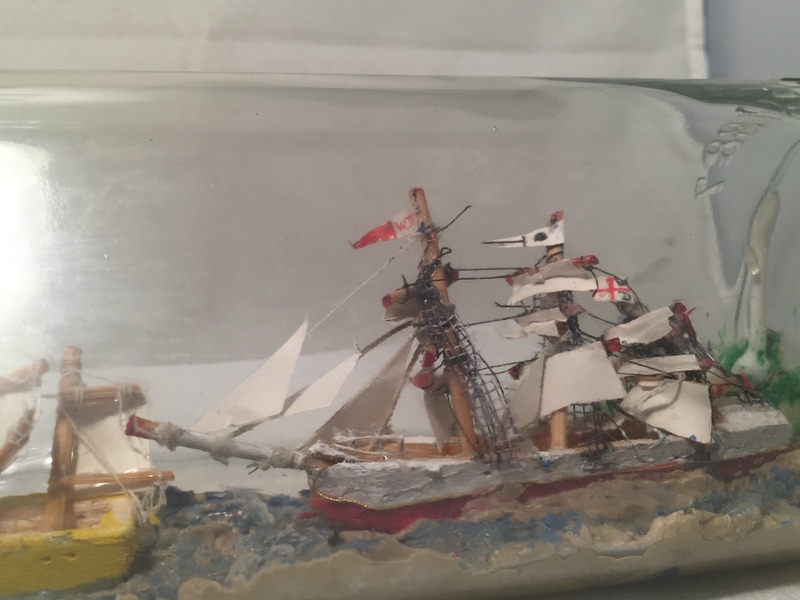 I got this in a entire collection I purchased from England, you can save a bunch !